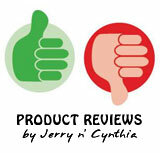 The folks that make the Audew Cordless Inflator contacted us and asked if we would review one of their units, and we said yes. They promptly shipped 2 units to us (oddly enough in separate boxes), and here we are several weeks after receiving them. This unit features a preset function (even though "function" is misspelled on the box), a fast inflating time, and an accurate pressure reading according to the included documentation. It also boasts a super large battery capacity (enough to do 3 tires... ours cars have 4 though), a super bright LED so you can see the valve stem in low light conditions, a 12v cigarette outlet power adapter, a USB charger, a backlit digital gauge, and lastly a cordless design so you can take it with you. If you use the included cigarette outlet power adapter to power the unit, it won't be cordless. Below are pictures of the unboxing. We added the text to the third image so you could see what was what in the box. We plugged the USB charging cord into an old cell phone charger we had lying around. This 1A charger charged the battery up to full in about 6 hours. The only indication of it chargeing is a little light that is either red (charging), purpleish (close to being fully charged), and blue (fully charged). Cynthia's car wasn't here the day I tested the first unit, so I tried it on my van tires. The tires on my van are 72 PSI and this cordless inflator is rated to 150 PSI. According to the built in gauge on the inflater, I started off at 58 PSI. I set the gauge to 72 PSI and clicked the trigger to start it. Once it is started, you can set it down and it will turn off by itself when the target PSI is reached. I stayed right there with it so I could see how it performed. It took almost 4 minutes to get the PSI up to 64.5 and that's when the unit shut off and the battery started smoking. The gauge showed the battery completely depleted. I let it all cool down and inspected the battery for physical damage and found none. Perhaps the smoke was from residue left inside the battery pack during manufacture and the heat caused it to smoke. I plugged the battery back into the same USB charger and this time it took 35 minutes to bring the battery to full according to the unit's display. I reconnected the battery and the unit ran just fine. Once more I went out to test the unit on the van tires. And I got the exact same result again, the unit was not able to bring the tire pressure up to 72 PSI without overheating. I opened up the second unit and tried the same test with the same results. While this cordless unit says it can handle up to 150 PSI, it just can't. I had to get out my trusty air compressor from the shop and air up the van tires. I connected the 12v power adapter to a 12v power supply in my shop and ran the inflator for 15 minutes with nothing connected to it. It did not overheat which was a good thing. The manual says for every 15 minutes you run the inflator, you must let it rest for 15 minutes. Unless it is a dire situation, I'm not going to wait around 15 minutes to air up a tire. When Cynthia got home, I ran the tests on her car tires which are set to hold 35 PSI. It said she had the correct tire pressure in all 4 tires so we let some air out of one of them. We dropped the pressure to 22 PSI and hooked up the cordless inflator. This time it was able to inflate the tire to 35 PSI. I also used the cordless inflator to check the tires on my Kawasaki Mule SXS and it worked just fine. I tried it on my tractor tires and again, it could not handle the PSI. We double checked all the PSI readings with our own gauge just to make sure the readings were accurate. This is not a heavy duty product, but it seems to work just fine on car tires, ATV/UTV tires and anything else where the PSI is not that high. It would be perfect for having in your car for emergencies, or to carry in your UTV when offroading... otherwise you'll need something more robust. For this reason, we give it the rating we did. Had it lived up to all of it's claims, we would have rated it higher. Overall, we give the Audew Cordless Inflator a 3 out of 5. If you have a car with normal size tires, this is a great little gadget to have.